Written by Ethan B. Ellis. Intersectionality is a fancy word for groups that are discriminated against for more than one reason, like African-American women or Muslim immigrants with disabilities. Not only are their experiences qualitatively different than the experiences of members of the dominant culture who are excluded on the basis of one ‘unacceptable’ characteristic, they are often ignored or excluded in that group’s quest for social justice. In this essay, I argue that the great majority of people with disabilities are the victims of intersectionality, that is, two or more social injustices and will not be fully included and equal until all of those injustices are eliminated from this society. This leads logically to the conclusion that we must be a part of every battle for social equality and justice. Posted on December 5, 2018 by Brian Mazzarella and filed under Volunteer Blog. HUNGER DOESN'T TAKE A HOLIDAY! During the holiday season, the need for emergency food often increases. ACI has helped dozens of area residents with donations to our food pantry. 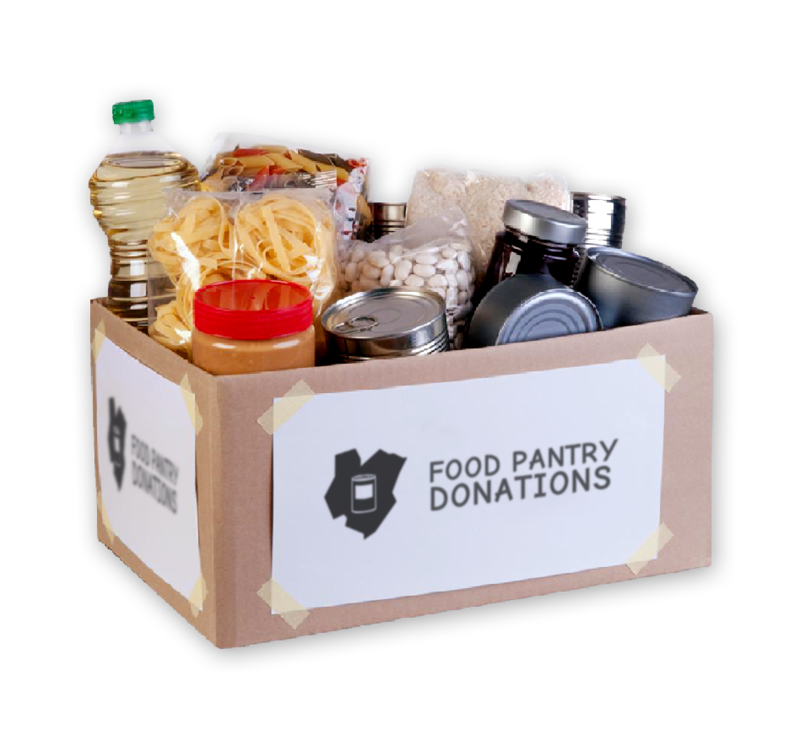 However, our pantry is running low on many items and we are having great difficulty meeting the needs of individuals with disabilities and their families in the area who are facing financial hardships. A contribution to our food pantry will help ensure that we have a constant supply of these much needed food items to see us through the holiday season. Posted on November 27, 2018 by Brian Mazzarella and filed under Donate. We would like to formally welcome Destiny Campbell, ACI's Employment Instructor/Independent Living Specialist. Destiny began working at ACI in August. "I really enjoy working for at ACI. This position has challenged me and has allowed me to use a different skill set. I'm happy to be part of the ACI team!" says Destiny. Posted on November 21, 2018 by Brian Mazzarella. I just completed an online survey asking my priorities for the newly elected majority in the House of Representatives. It was pretty long. I could have checked off women’s rights and I did. I could have checked off LGBQ rights and I did. I could have checked off voting rights and I did. I could have been for health care for all, campaign finance reform, a living wage, gun control, rebuilding our infrastructure, reducing income inequality, ending war and a whole lot more and I was - and am. But there was no place check off disability rights on that agenda. I also got hundreds of fundraising emails before the election. They all wanted my money and many used surveys to get it. I could be for everything good and against everything bad, but I COULDN’T BE FOR DISABILITY RIGHTS, MY OWN RIGHTS! Posted on November 15, 2018 by Brian Mazzarella and filed under Voting, Advocacy, Volunteer Blog. Donate to the ACI Toy Drive This Holiday Season! In the spirit of the holiday season, ACI is organizing a toy drive to gather toys for children of families who benefit from our food pantry. We will be gathering donations of new, unwrapped toys for children of all ages. Clothing and monetary donations will also be accepted. You can make a donation through our website. Bring or ship your toy donations to ACI, 629 Amboy Ave (1st floor), Edison, NJ 08837. We will be putting a donation container outside of our office door for easy drop off. For more information, please contact Argenys Caba at 732-738-4388 or acaba@adacil.org. Thank you for your generosity and have a happy holiday season! Posted on November 7, 2018 by Brian Mazzarella and filed under Donate. Everybody’s made up their mind by now. The only question left is how many of us will vote. I’m 84 but I will. I just got out of the hospital this week but I will. I have cerebral palsy but I will. I use an electric wheelchair but I will. My hands no longer can mark my ballot so my 12 year-old son will mark it for me and I will. Because I want to keep my health insurance despite my pre-existing condition, because I want to avoid a having a limit put on how much health care my insurance will pay for during my lifetime. Because I want my wife and son to be able to pay for Social Security and get it like I have. Because I want them to have Medicare when they retire like I do. Because I want them to have Medicaid if they need it. Because I want my friends with disabilities to enjoy the rights I didn’t grow up with but helped win. Because I want my son to to live in country where everyone is equal. Because I want him to live in a country where rich people no longer pay politicians to make them richer and make poor people poorer. Because I want him to live in a country where everyone gets the services they need regardless of what they cost. Because I want him to live in a world where nobody goes hungry or thirsty and everyone breaths pure air and drinks clean water and no one is displaced or dies because of climate change. Because I want our democracy back so his vote will count at least as much as mine . I wasn’t born. yesterday. I know I won’t get these things just by voting this year but that’s the best tool available to me - and you - right now. After the election, we’ll have time to decide what we have to do next to win back our democracy and gain full equality but right now the vote is our best weapon. Let’s use it for ourselves and all who and what we hold dear. DISCLAIMER: The views expressed by this author, are the views of the author only. The views expressed in this article do not represent the views of the Alliance Center for Independence/REV UP New Jersey, its staff or board. ACI and REV UP NJ are non-partisan, not for profit 501 (c) (3) organizations, and do not endorse any candidate for political office or political view point. Posted on November 1, 2018 by Brian Mazzarella and filed under Voting, Advocacy, Volunteer Blog.